On behalf of the Historic Mead Family Burying Grounds Association I extend to all Mead family descendants near and far best wishes for a festive, safe and very Merry Christmas. 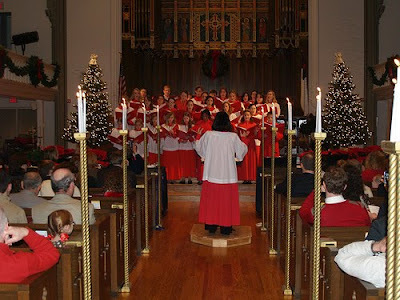 May the light and peace of the Christmas season keep you and guide you well. 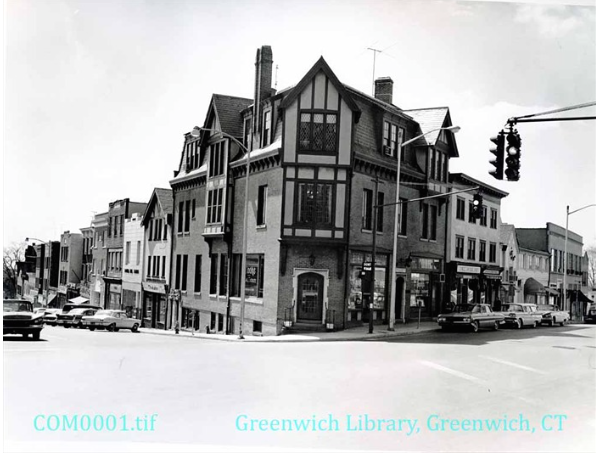 It comes as a surprise to many that the hills and valleys of the Town of Greenwich once featured an even larger number of small family plots than there are today. In addition to the three Mead family plots under the care of the Association there were three others. Charles Hale authored the ‘Index of Greenwich Graves,’ compiled as a WPA Project in the early 1930’s. The Hale Map Index on page 471 shows a cemetery in the vicinity, called the "Mead Plot on Byram Shore”, described in Mead's survey on Page 140 as “Near the Trolley Line a short distance east of Grigg Avenue”, which avenue is now known as St. Roch’s Avenue. The actual distance straight line is 0.07 miles. The area is described as “a driveway,” with graves apparently removed. A survey by Aidan McCann, PLS, Soundview Engineering dated January 26, 2004 indicated that this long-removed plot was located off Charles Street between Josephine Evaristo Avenue and Hamilton Avenue. Spencer P. Mead’s survey lists 12 persons buried there, the earliest being Jabez Hobby in 1823, who was joined by Abigail Hobby in 1847. 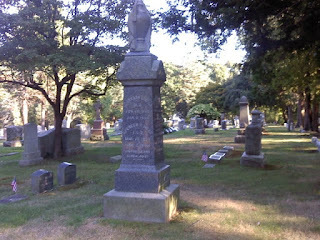 Between 1839 and 1859 eight Meads were buried there, along with Sarah L. Martin 1849 and Mary E. Oliver, 1851. Abigail Hobby, died June 16, 1847, aged 84 years, 4 months and 26 days. Jabez M. Hobby, died December 23, 1823, aged 66 years, 11 months and 11 days. Sarah L. Martin, wife of Jacob Martin, died May 30, 1849 aged 38 years, 3 months and 26 days. Henry H. Mead, son of Jabez H. and Harriet Mead, died March 9, 1849, aged 2 years and 8 days. Jabez H. Mead, son of Nehemiah and Mary Mead, died June 26, 1850, aged 46 years, 5 months and 15 days. Mary, Widow of Nehemiah Mead, died March 15, 1859, aged 74 years and 4 days. Mary Lucretia Mead, daughter of Jabez H. and Harriet Mead, born January 26, 1839, died May 29, 1839. Nehemiah Mead, died December 4, 1833, aged 54 years, 3 months and 13 days. Oscar Hobby Mead, son of Jabez H. and harriet Mead, born February 26, 1842, died December 18, 1845. Sarah Ann Mead, daughter of Jabez H. and Harriet Mead, born November 11, 1844, died August 4, 1845. William A. Mead, son of Nehemiah and Mary Mead, died February 20, 1849, aged 35 years, 7 months and 10 days. Mary E. Oliver, daughter of William H. Oliver, died January 29, 1851 aged 16 years, 11 months and 10 days. MEAD-On January 7, 1935. Spencer p. Mead in his seventy-second year. Funeral service at the home of his brother, Ephriam Mead, 240 Milbank Av., Greenwich, Conn., on Wednesday, Jan. 9, 2 P.M.
Spencer P. Mead, descendant of one of the oldest and most prominent families in Greenwich, Conn., died yesterday at the Fifth Avenue Hospital of a gall bladder ailment after a short illness. 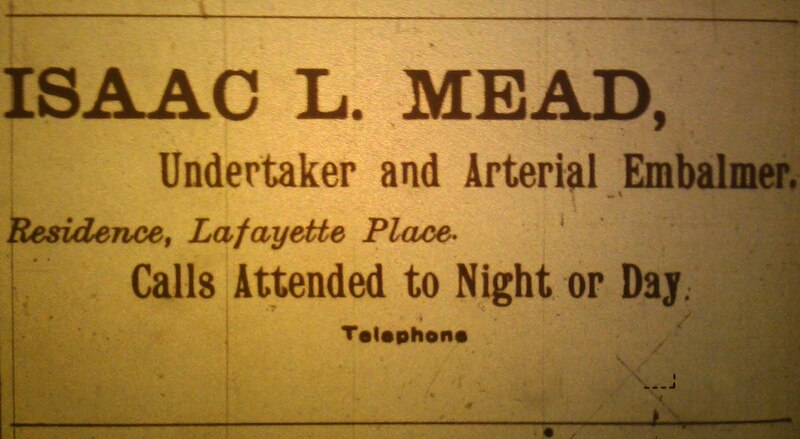 Mr. Mead, who lived at 828 Union Street, Brooklyn, was 71 years old. Mr. Mead was an examiner of real estate titles for the law department of the Lawyers Title Corporation, 160 Broadway, having been with the company since 1903, at which time it was called the Lawyers Title Insurance Company of New York. 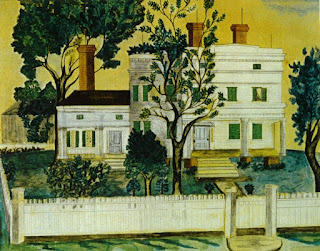 Born in the old Mead homestead at Mead’s Point, Greenwich, he was the son of Mr. and Mrs. Isaac Howe Mead and was descended from William Mead, who came from England to Connecticut in the seventeenth century. He was the author of a book on the genealogy of the Mead family and of ‘Ye Historie of Greenwich.’ He was graduated from New York Law School. Mr. Mead belonged to the Sons of the American Revolution and Society of Colonial Wars. Surviving are three brothers. The Historic Mead Family Burying Grounds Association, Inc., is developing a channel on YouTube. To view the channel go to this link. Future content of the channel will include audio and visual images of ancestral grave sites with material based on historical research from various sources. The Association encourages descendants to participate in the development of this channel. This include narratives about individual grave sites relying on obituaries, publish histories, land records, probate records, letters and correspondences. Another one of the old citizens passed away this week, - Mr. Jabez Mead. His death was not unexpected, for he has been an invalid for two years, though able to be about, often driving to the village himself from his home on the Post Road. For a year and a half Mr. Mead has been unable to lie down, and his sleep and rest were obtained sitting in a chair. Of late it was seen that he was failing and that his end was near. He died Monday night; his age was 77 years. 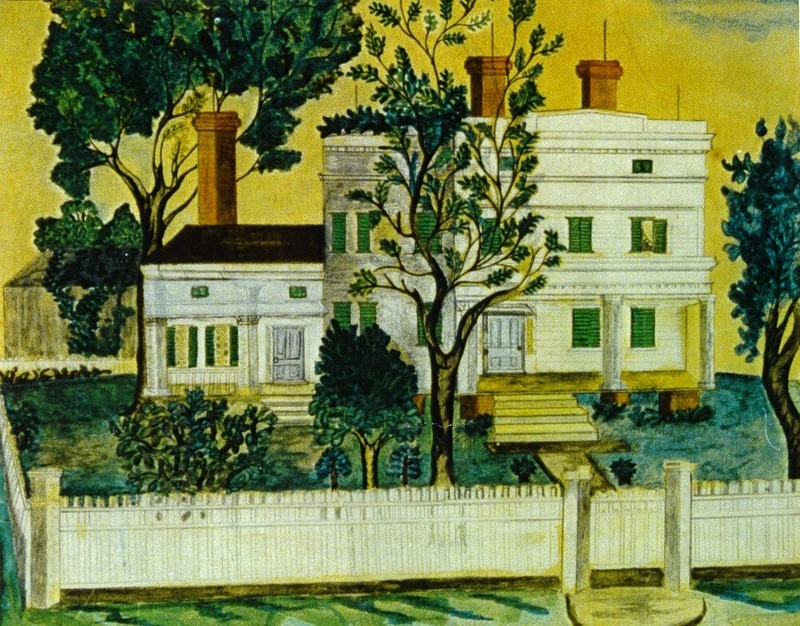 Jabez Mead was born, Dec. 21st 1808, on the farm, on the Post Road, where he has just died; his father lived there before him, and his grand-father, who was Gen. Mead, of Revolutionary fame, resided only a short distance away, on the farm now occupied by Mr. Tracy, the artist. Mr. Mead married Marry Hobby, a daughter of Jabez Hobby, and four of their children are now living, -Mrs. Abram Reynolds, Mr. Lyman Mead, Mr. Herman H. Mead, and Mr. Arthur D. Mead; a large number of grand-children, and several great-grand-children. During his life Mr. Mead held many prominent positions in this community, twice representing his town in the General Assembly; he was for many years town treasurer; he has also been selectman, school visitor and assessor. He was a man universally liked and respected. Of genial disposition, he held a place in the hearts of the people and all mourn his death. He was a man of broad views, and exceedingly found of travel, and until ill health caused him to remain at home, was accustomed with his wife to take an extended trip almost every year, and being a careful observer, he had a wide knowledge of the country. His funeral took place from the 2nd Congregational Church, Thursday afternoon, Rev. Mr. Porter officiating. There was a large attendance. The pall bearers were Messrs. Alfred Bell, Isaac H. Mead, Jos. G. Mead, Eliphelet Husted, Alex. Mead and Stephen Peck. The remains were interred in the 2nd Congregational church cemetery. Requiescat in pace. The Greenwich News & Graphic: Friday, July 2, 1915. 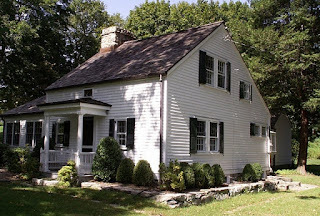 Death claimed one of the old residents of Greenwich on Wednesday when Seaman, son of the late Thomas A. and Hannah Seaman Mead, died at his home on West Putnam Avenue, following an illness of a short duration. 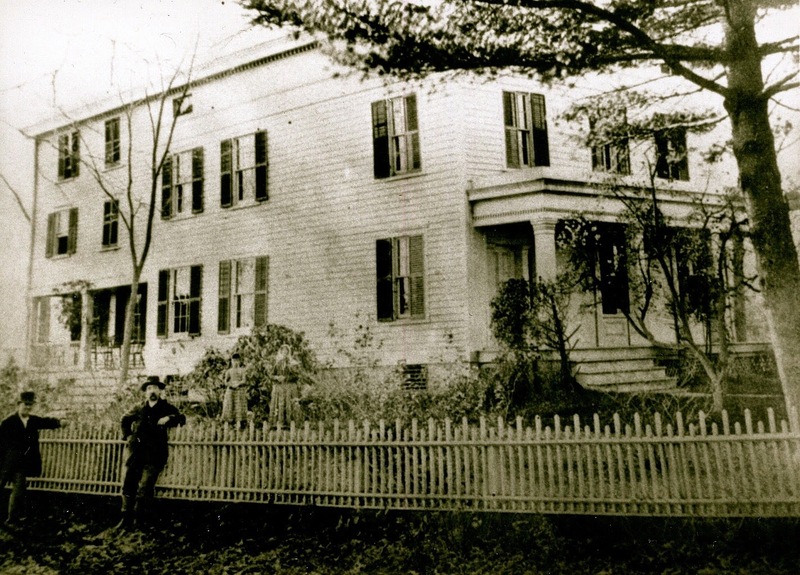 The deceased was born in the old Mead homestead in the year 1837. 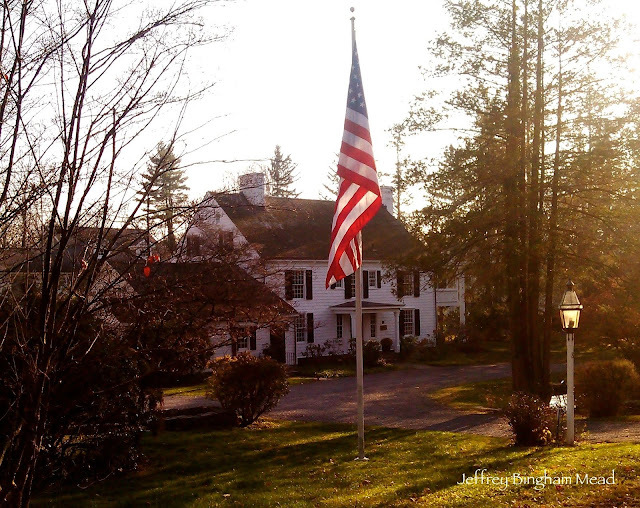 He was a descendant of John Mead, who came to the United States from England in 1635. 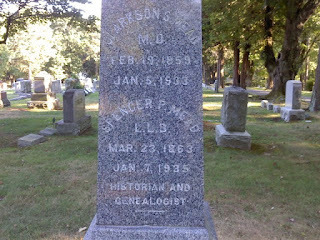 Amos Mead, the great-grandfather of the deceased, was a surgeon in the French and Indian War and his grandfather, Richard Mead, served in the Revolutionary War. Mr. Mead's life in Greenwich has been associated with public affairs. He was sent to the General Assembly four times; he served twelve years on the State Board of Agriculture at the St. Louis, Pan-American, Buffalo and Jamestown Expositions; he served on the board of assessors of the Town of Greenwich for twenty-two years; he was a borough assessor for twelve years; chairman of the Republican Town Committee for twelve years; a director of the Greenwich Trust Company and of the Rippowam Manufacturing Company. The following children survive the deceased: Susan H., Louisa M., Amelia W., Thomas and Seaman M. Mead. The deceased was born on the Mead homestead which included what is now Edgewood Park, Brookside drive, running down Greenwich Avenue to the point where the St. Mary's Catholic Church now stands. He was reared on that farm and attended schools in the neighborhood, his first teacher being Mr. Loundsberry. Subsequently the deceased attended the Greenwich Academy from which he graduated. Two years of his life after graduation was spent on the large farm in Stanwich owned by his family. In his agricultural pursuits Mr. Mead was always successful. He ever took deep interest in Agriculture and aided in its advancement throughout the state. Mr. Mead inherited many of the traits which brought his ancestors into prominence and gave them the distinction they merited. He was of the same religious faith and political complexion as his forefathers. Ever an ardent Republican, he cast his first presidential vote for Abraham Lincoln.